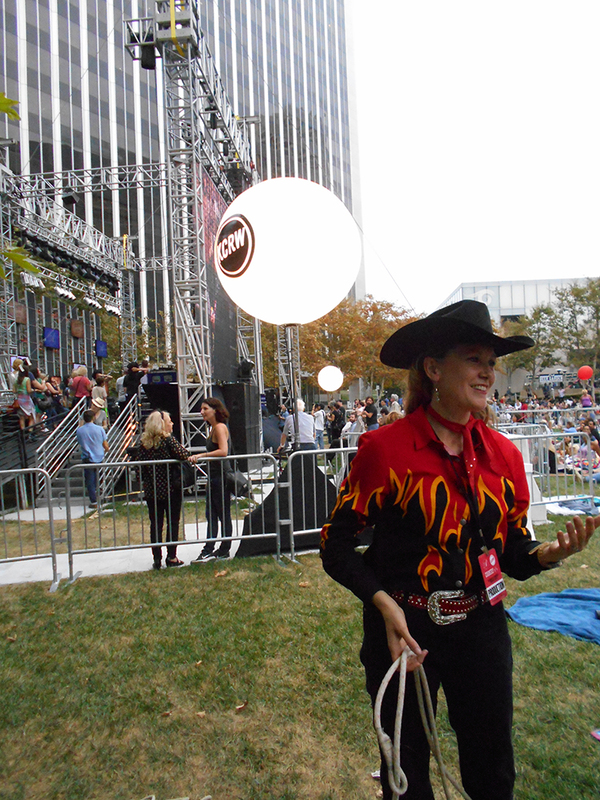 In August Christy and Jay were invited to provide the pre-concert entertainment for the “Country in the City” summer concert series in Century City, sponsored by the Annenberg Foundation and KCRW Radio. 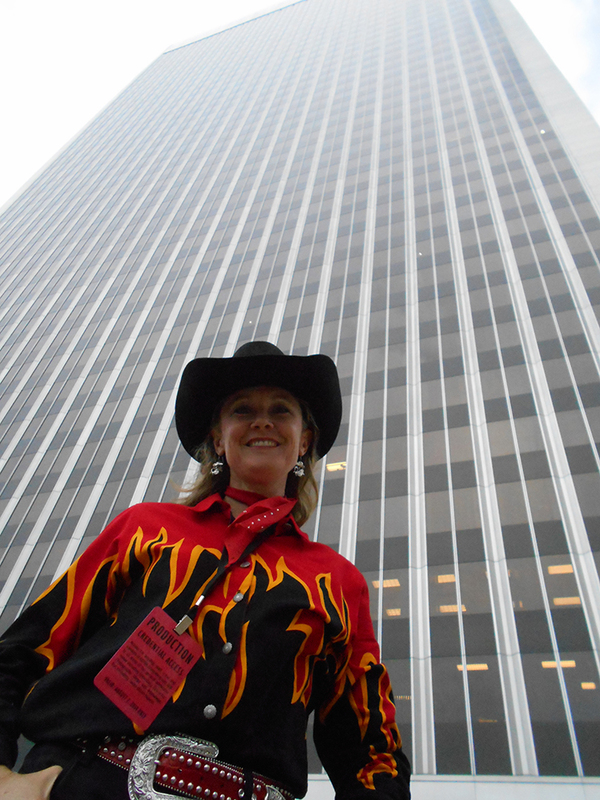 They performed for three consecutive Saturdays at the beautiful Century Plaza Towers, culminating with the final concert featuring Wynonna Judd and the Noise. The series consisted of country western musicians, so they wanted the pre-show entertainment to fit the western theme. Christy spun her trickropes and cracked the bullwhip, while Jay spun guns and cracked the whip for the crowds that filled the plaza. The pre-show also featured Joel Ward, a fantastic magician that mesmerized the guests with his close up magic illusions. Jay said that they received quite a bit of attention from show attendees, as guns, whips and lariats are not a common sight in Century City. He said that the most difficult part of the entire experience was getting the guns through the security checkpoint.